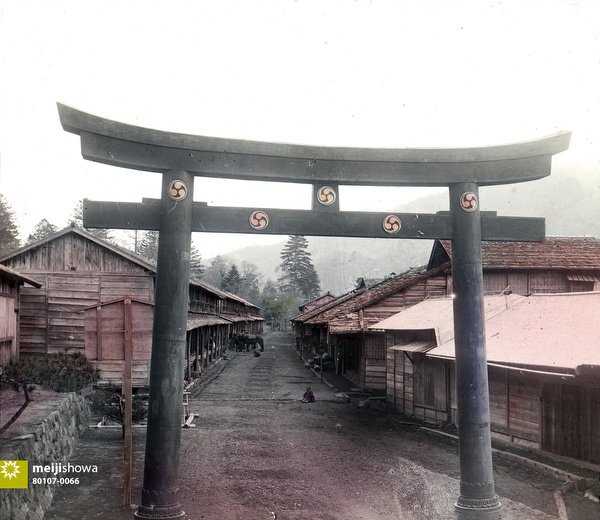 A broze sacred torii gate at a village near Lake Chuzenji. In the back some horses can be seen. Tentatively attributed to Kozaburo Tamamura.